CNN reports that Mark Zuckerberg, facing increasing pressure to testify on the Facebook data scandal, is now preparing to speak with Congress about the issue. The Facebook CEO has been invited to an April 10 hearing on data privacy. Mark Zuckerberg is preparing to testify before Congress, CNN reported Tuesday, citing anonymous sources. 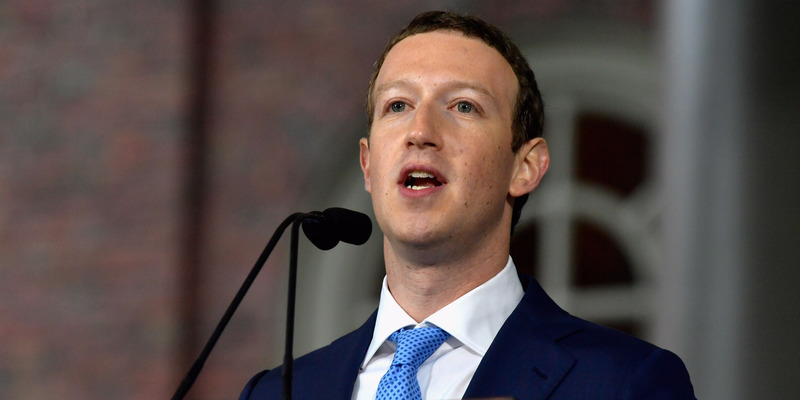 The Facebook CEO has faced increasing pressure over the past week to speak with Congress, and CNN says he is now readying his testimony regarding how Facebook handles user data and privacy. Zuckerberg, who remained publicly silent for five days following the first reports from The New York Times and The Guardian about Facebook’s data scandal, has since apologised and given multiple interviews on the matter, in addition to publishing a post on Facebook detailing planned changes to Facebook’s data policies. The Times and The Guardian revealed that the data firm Cambridge Analytica improperly obtained data on as many as 50 million Facebook users while developing software designed to influence voters. The firm’s CEO, Alexander Nix, has since been suspended. Facebook has said it will check whether any other Facebook user data was mishandled from third-party apps and will alert any users whose data was misused. But even as Zuckerberg and Facebook’s chief operating officer, Sheryl Sandberg, have made media appearances and sat for interviews, Zuckerberg in particular has continued to face pressure to testify in front of both Congress and the UK’s select committee inquiry into fake news. On Tuesday, Facebook’s head of public policy in the UK, Rebecca Simon, said that Zuckerberg declined a request to appear before UK Parliament and would send Facebook’s chief technology officer, Mike Schroepfer, and chief product officer, Chris Cox, in his stead. In a written statement, Damian Collins, a Conservative Party politician, responded, “Facebook has got many questions to answer that their executives have failed to answer in previous appearances before our Committee.” UK officials have since offered to accept a video testimony from Zuckerberg if he is unable to physically attend. Zuckerberg has been invited by Senate Judiciary Chairman Chuck Grassley to attend an April 10 hearing on data privacy. Google CEO Sundar Pichai and Twitter CEO Jack Dorsey have also been invited.